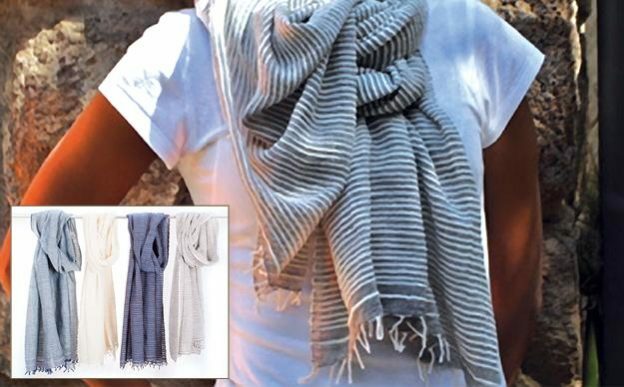 The Judith handmade wrap incorporates two different color tones and textures. Wonderfully versatile piece in good colors. Hand wash, hang to dry.